It was with some frustration that I read reports in recent newspapers regarding the publication by the government of the adoption “league tables”. “Adoptions of children fall by 5%” declared the BBC, “UK adoption figures plunge” shouted the Daily Mail and “Children suffer as adoption falls to new low” proclaimed the Times. But is it really the case that we a facing a shocking fall in the number of adoptions made? And is this really as terrible as we are made to believe? The number of children in care has increased considerably over the last 15 years, from 50,800 in 1996 to 65,520 in 2011 – an increase of 29%. The number of adoptions completed over the same period has not increased by 29%. In fact they have not increased at all. But is this really surprising? To keep up with the increased “supply” of children, the demand would need to increase at the same rate. But why would 29% more adults choose to adopt now than in 1996? Fertility treatments have improved significantly since 1996, meaning that more people are able to become biological parents than before. (In particular, Intracytoplasmic Sperm Injection treatment has revolutionised the treatment of male factor infertility over the last 10 years enabling many men to father a child who would previously had to depend on donor sperm). That’s not to say that all adopters adopt because they can’t have their own children, but it would be silly to dismiss this as a factor. Similarly the economic climate is likely to have an impact on the number of adopters coming forwards. This year we have seen family disposable income fall by the biggest drop on record – adopting a child is a big financial commitment and perhaps one that is less easy to make now than it was a decade ago. Is it really realistic for us to expect the rate of adoptions to have increased? Although the age profile of looked after children has not seen a marked change over the last 15 years (81% of children in care in 1996 were aged 5 or over compared to 76% in 2011), the needs of children being placed for adoption have changed significantly. Children entering care today, and consequently being placed for adoption, have far more complex needs than they did in the past. For example, the number of babies left brain damaged each year in Britain has doubled in a decade. Official statistics show that there were 1 million babies registered with Foetal Alcohol Syndrome (FAS) in Britain in 2004, compared to 500,000 in 1994. A lot of these children will find themselves in care, and some will be placed for adoption, however finding adopters who are willing, or able, to take on children with complex needs is not an easy task. And yet we are expecting our local authorities to place these children as quickly as they placed children with less complex needs in the past. The Prime Minister is quoted by the BBC as saying, “It is shocking that of the 3,600 children under the age of one in care, only 60 were adopted last year – this is clearly not good enough.” Isn’t it? How many of these young children were returned to their parents? Or to live with family under Special Guardianship Orders (SGOs) or other arrangements, such as long-term fostering, which enable stability and consistency without the requirement for an adoption order? In 2006/07, 740 SGOs were granted, compared to approximately 240 in 2005/06. Over the same period adoption numbers fell by 300. Adoption is not the only option for children in care, and the increased use of SGOs (and corresponding decline in adoption) demonstrates this. When age at placement and other variables are held constant, there are no differences in breakdown rates between adoptive placements and placements with permanent foster families. Qualitative studies find that some children prefer to be fostered and others prefer to be adopted. (What works in adoption and foster care? Clive Sellick, June Thoburn and Terry Philpot, Published 2004). To consider adoption as the only good outcome for these children is as best naïve and at worst dangerous. Local authorities work incredibly hard to achieve the best possible outcomes for the children in their care, and this involves considering range of permanency options of which adoption is just one. It was interesting that of the 15 performance measures included in the league tables published this week, the media chose to report only the indicators relating adoption rates and speed of adoption placement. As a result Nottinghamshire, who are in the top 10 authorities for achieving placement stability and consistency, were slated for taking the third longest time to place children with adoptive parents. Whilst the speed and rate of adoption are useful things to measure, they should not be considered in isolation. As noted in the Guardian (Adoption tables don’t tell the whole story, 8th November 2011), over the years 2009-10 and 2010-11, 10 of the 57 children adopted in Nottinghamshire were over five, and four were disabled. Seven sibling groups were adopted, one of them a group of three children. In four years, only two adoptions did not work out. No national statistics exist for the breakdown rates of adoption, however it is widely quoted that on average, one in five placements from care with adoptive parents or permanent foster carers not previously known to the child breaks down within five years of placement. The league tables published this week only consider the number of adoption placements made by each authority in relation to the number of children with an adoption plan in place. What is not measured is how many of these placements are successful after 6 months, 1 year or even 5 years. Performance measures such as these risk incentivising speed of placement over everything else, including quality of match and longevity of placement. Could local authorities be more proactive in encouraging people to adopt? Yes. Does it take too long to assess adopters and place children? Absolutely. Are there children currently in care who would be happier and achieving better outcomes if they were successfully adopted? Regrettably so. The answers to these questions are easy. Unfortunately however, whatever the media reporting of the facts may imply, changing this situation is not. 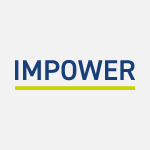 At IMPOWER we have been working with a number of local authorities to tackle both the supply and demand sides of the equation. This means not only working with staff to improve all processes for achieving permanence (including adoption), but also seeking to tackle demand by promoting effective and targeted prevention and early intervention. By identifying families early on who may experience difficulties in fulfilling their parenting role we can offer support to enable children to stay at home. And after all, ensuring children are happy and safe at home is the best outcome for everyone.